The JRPG has changed much over the years (or very little, depending on the developer), but back in the mid-to-late-’90s this very niche of genres produced a spate of classic instalments that helped define so many of its integral elements. 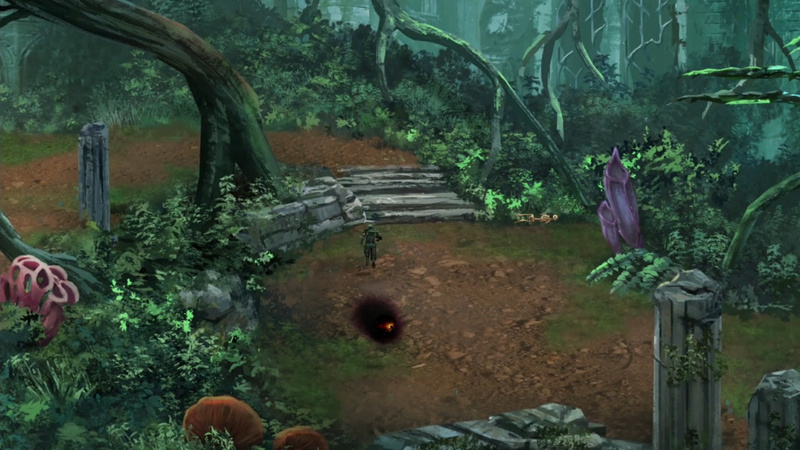 The pre-rendered backgrounds. The polygonal character models. Interesting and layered characters that developed over hours and hours of play. Or a game such as The Legend of Dragoon that was so big it needed four PS1 discs. Those were the days. 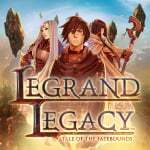 It’s to this era that Semisoft’s Legrand Legacy: Tale of the Fatebounds tips its hat, offering something that looks, sounds and plays like those games of old while adding in the visual improvements of today to create something that’s both mesmerising and frustrating, often in equal measure. A love letter to the great Japanese role-playing games of yesteryear that perhaps tries too hard in its desire to pay tribute when it could be doing something noticeably new. When it comes to story and world-building - one of the key pillars of any JRPG alongside the battle system - Legrand Legacy is exactly what you’re expecting. Every trope is here and accounted for. There’s Finn, an amnesiac slave who awakens an ancient power within him when faced with certain death in a gladiatorial arena. There’s an old man with knowledge, mystical powers and a sharp tongue. There’s a tomboy heroine who’s all moody and full of sass. There’s a set of warring nations and a world on the brink of collapse thanks to dark forces. It’s peak JRPG. For all its predictable leanings, Finn and co make for a mostly likeable lot. Our scarred hero might have the bland looks of every other androgynous hero from the genre, but he eventually sheds his innocence and develops into a likeable lead who finds himself thrust into the heart of an age-old conflict. He and his group of titular Fatebounds might have some less-than-interesting dialogue at times, but for the most part, the main characters in your party are all a decent little bunch. The problems come with Legrand’s pacing. There are some really interesting characters to encounter on your travels - many of whom make the game’s many side-quests some of its best - but the plot slows down far too often with every character seemingly on hand to smother you in exposition as soon as the battles are over. It’s a good thing Legrand’s hand-drawn locations look as good as they do because without them you’d have a game that can go from quirky and interesting to something bordering on dull. Before we discuss just how beautiful Legrand looks, let’s get into the other meaty half of its JRPG formula - the battle system. Combat is turn-based with an emphasis on stacking characters of a certain type correctly (melee characters at the front, ranged at the back, etc). Whether attacking, guarding or unleashing a Grimoire (Legrand’s take on magical spells), you’ll need to nail a quick time event in order to maximise the height of your defence or the potency of your attack. It’s straight out of the ’90s JRPG battle playbook, but it’s an element that leaves a little too much up to chance. There’s no pattern to how these QTEs will position the angle of their circular meter, so even the most hard-fought of tactics can be undone by a poor button press. Monster types also affect the outcome of a battle. Focusing a melee character on a flying enemy is risky since they’re built to evade close-quarters strikes, but have a ranged fighter step in and they’re toast. Spectral anti-physical beings are good at soaking up melee hits, but will crumble with a well-placed Grimoire. Anti-magic foes will shrug off magical attacks, but whack them with a sword and it’s game over. With certain weapons tied to particular element types - which also have unique relationships to certain monsters - the tactical element of creating the right formation and use of attacks is consistently satisfying. The problem is it’s a system we’ve seen implemented plenty of times before over the last two decades, and many have already done it better. The fact that enemies can randomly interrupt your attacks just makes the reliance on randomised QTE meters a questionable design choice, especially for an indie developer that so clearly knows and loves this quintessential era of JRPGs. It’s far from a broken battle system, but it’s one that could have been so much more if developer Semisoft had tried something a little more out of the box for a game launching in 2019. However, for all its faults, it’s impossible to not be charmed by Legrand’s beauty. Its hand-drawn backgrounds are stunningly made, and while it’s frustrating you can’t explore every part of Legrand’s grand, yet spoiled, world, even something as barren and lifeless as a desert is given this captivating artistic style reminiscent of Ralph McQuarrie’s timeless work in science-fiction. Even the character models are exquisitely designed, managing to create fully-rendered figures that move with enough life during cutscenes to help negate the lack of voice-over work. And while there is a slight delay between exploration and the beginning of a battle, it performs mostly solidly in handheld and docked modes. Legrand Legacy: Tale of the Fatebounds spends a little too much time reminiscing over the past than looking forwards and carving out its own journey, and as a result, it doesn’t really bring anything new to the table at which its inspirations sit. Still, while its random QTEs do make battles more of a game of chance than they need to be, there’s enough heft to the story, the characters, and the beauty of its setting to help save it from disappearing into obscurity. With a build that runs well on Nintendo Switch, this is still a worthy adventure for ’90s JRPG fans. I won't get it right away, but it'll be in my wishlist. "spends a little too much time reminiscing over the past than looking forwards... it doesn’t really bring anything new to the table"
"random QTEs do make battles more of a game of chance than they need to be"
you can set it to "fixed" or turn it off completely in settings. @Agramonte Pretty funny how people praise indie titles that look like they belong on the NES or SNES and are influenced by old games but a JRPG gets held to the high standard of having to do something new. 'Doing something new' as people requested is what ruined JRPG's. Ohh I thought it was a new game in the tales of series..
Downloading right now, for 16€ it's worth it even if I'm still playing tales of vesperia. 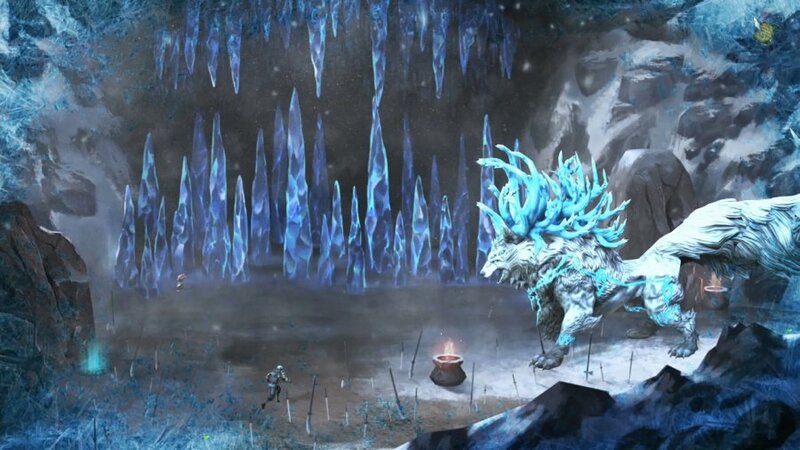 And the art style make me think of baten kaitos, even if the game is nowhere near baten kaitos's quality I'll enjoy the view If only namco released baten kaitos and baten kaitos remastered on switch. 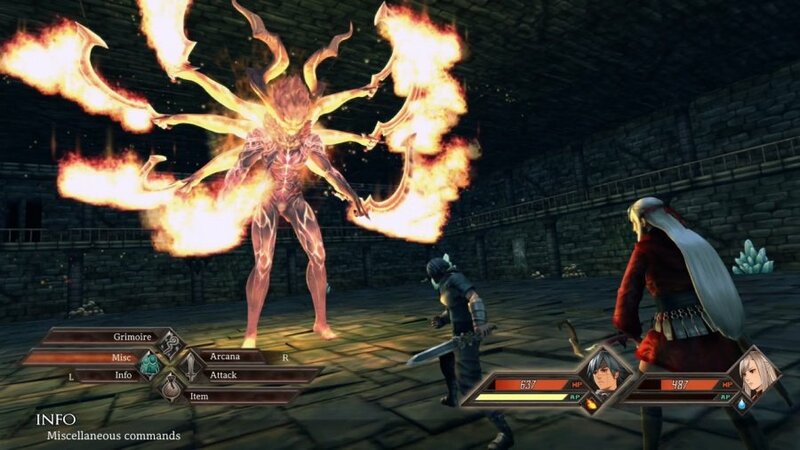 When a reviewer states, a jrpg is stuck in the past, to me this screams genuine rpg that you're going to love because it stays true to the genre, and doesn't contain any poxy gimmicks to lure in non believers! Pure rpg sounds good to me. Qte can and should be turned off. People too harsh on RPGs, this is better than anything kemco shovelled onto the 3ds and switch eshop over the past 6 years!! All of these comments are awesome and exactly my thoughts. Any negative aspect mentioned here makes me want to play it more since it sounds like an actually legitimate JRPG from the golden age when they made them right instead of the garbage we're are getting fed today. I should the notion that reviewers should be slamming all the barfy NES-looking indies that are pouring in now by the truck load. Maybe after Vesperia. RPG backlog only grows. I never even finished Torna. @Roam85 Yeah... I love RPGs.. but some of them are just so long. 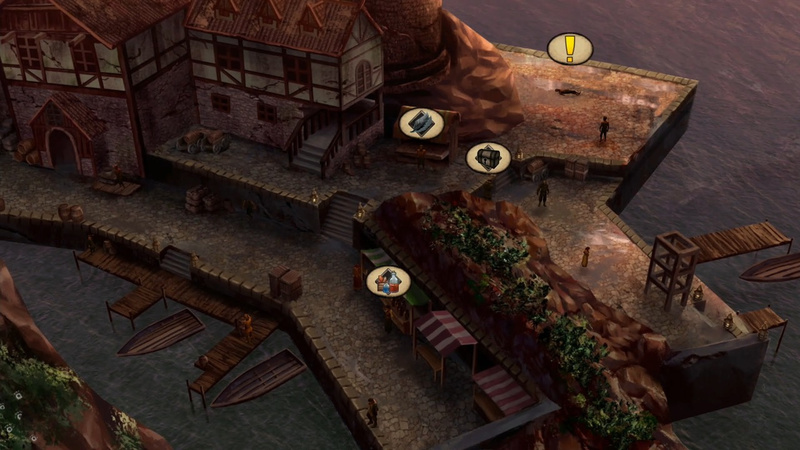 I wish there were more RPGs made for the working man. Hmm. I loved the PS1-PS2 era RPGs and this one has a pretty nice price. I'm glad folks mentioned the QTEs can be turned off, because that makes me more comfortable putting it on the list. Damn, Dom has to be the toughest reviewer on this site - at this point, I almost expect a game to scored at 7 or less. Although this game seems fairly decent (a 7 isn't by any means terrible - in fact, it's "good"), with all of those 5 or less games, I think he must be masochist. Anyway, this actually looks like game that I'd enjoy. I have no problem with that era of RPGs, so I might give it a go. This sounds more appealing than many other 'modern' RPG's. An RPG stuck in the 90's, when RPG's were fantastic? Sign me up now. @Agrimonte I was ready to dismiss this entirely after the QTE comments in the review. Thanks for letting us know more than the reviewer did, which puts this game back on my purchase list. What I'm hearing from this review is that I should get this very soon.